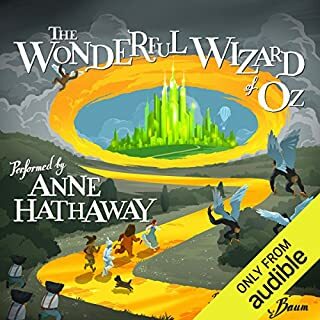 Anne Hathaway brings the story to life. Children will be instantly engrossed into this timeless classic. 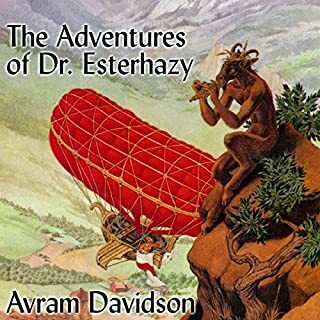 This invaluable collection of Avram Davidson's resonant, witty short stories describes some incidents in the career of many-times-Doctor Engelbert Eszterhazy, loyal subject of the Triune Monarchy of Scythia- Pannonia-Transbalkania, located in a 19th-century Europe whose political landscape will be, after a little reflection, familiar to most fantasy listeners. Enquire with Doctor Eszterhazy into curious matters: the lurley, the old woman who lived with a bear, gingerbread men, dancing goats, and more. Too many characters and not enough of the main character. Silly at times. I expected more from a novel endorsed by Neil Gaiman—who I really enjoy reading and listening to. My suggestion is to find an old copy from your used book store and read it in small chunks. Five thousand years out of the Labyrinth, the Minotaur finds himself in the American South, living in a trailer park and working as a line cook at a steakhouse. No longer a devourer of human flesh, the Minotaur is a socially inept, lonely creature with very human needs. But over a two-week period, as his life dissolves into chaos, this broken and alienated immortal awakens to the possibility for happiness and to the capacity for love. As M would say: Mmmm. 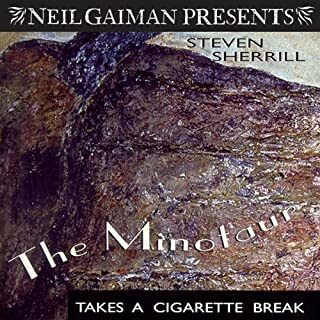 Would you consider the audio edition of The Minotaur Takes a Cigarette Break: A Novel to be better than the print version? What other book might you compare The Minotaur Takes a Cigarette Break: A Novel to and why? I've never read any book like this one before. What does Holter Graham bring to the story that you wouldn’t experience if you just read the book? Holter capture M and the cast completely. Every character was easily identifiable. I had no problem with the narrator getting in the way of the story. All-in-all Holter was the perfect choice. Yes. But I didn't. I listened in two parts. Neil Gaiman Presents has picked a very entertaining and often funny story that I'll enjoy listening to over and over. After a few minutes I was compelled to buy the book for my collection. This story is completely unique, so much so that it may not appeal to everyone. But if you like the bizarre, you'll like M.
I've recommended it to several people who have also enjoyed it.